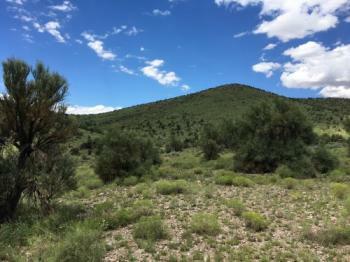 160+ Treed Acres Off Grid Near I-40 Seligman Horses Livestock OK! Beautiful 160 treed acres perfect for hunting, building a homestead, or using for a family vacation get-away. 160 Acres Near I-40 Seligman Horses Livestock OK! The quarter section lies about 3 miles north of the I-40 in the Fort Rock area. The land is treed, private, with interesting terrain, and abundant wildlife. About 48 miles from Kingman on the I 40, a source of building supplies, groceries and even a Cracker Barrel.